The Khmers Kampuchea-Krom Federation hosted its Annual Meeting for the year of 2016 in Las Vegas from 13 January to 15 January 2017. More than one hundred members from around the world, including Italy, Cambodia, Canada and the United States attended this important meeting because it was not just the annual meeting, but this also marked the 20th years that the organization adopted its name as the Khmers Kampuchea-Krom Federation. On Friday, 13 January 2017, the KKF Board of Directors and Advisors had a closed door meeting at the Rio Hotel to frankly discuss how to strengthen the organization to lead the movement to seek justice for the voiceless Khmer-Krom in Kampuchea-Krom effectively. Moreover, the members of the BoD and advisors also seriously reviewed all the issues that the organization is facing, especially the issues that Mr. Thach Ngoc Thach has repeatedly violated the By-Laws and the Code of Conduct of the organization. 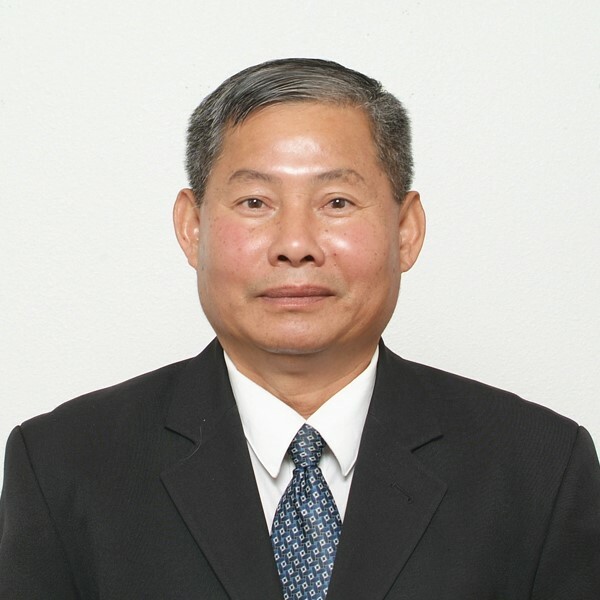 The members of the BoD decided to unanimously vote to withdraw the confidence in Mr. Thach Ngoc Thach as Executive President of the organization. On Saturday, 14 January 2017, the second day of the annual meeting took place at the Elegante Banquet Hall. The members had a chance to listen to the history of the KKF’s name and activities of the KKF in 2016 from the KKF BoD members, advisors, Khmer-Krom Buddhist monks, and the core members of the KKF Youth Committee (KKFYC). KKF presented the Human Rights Awards to honor the Khmer-Krom Human Rights Activists who used to be imprisoned in Kampuchea-Krom. During the Q&A session, the KKF BoD members clearly answered all the accusations and questions that the members concerned. On Sunday, 15 January 2017, the last day of the meeting took place at Buddhica Khmer Temple. The members had another chance to ask questions to KKF leaders. The KKF regional and local presidents updated their 2016 activities and gave suggestion to the KKF BoD to build into the 2017 plan. Right before the closing, Mr. 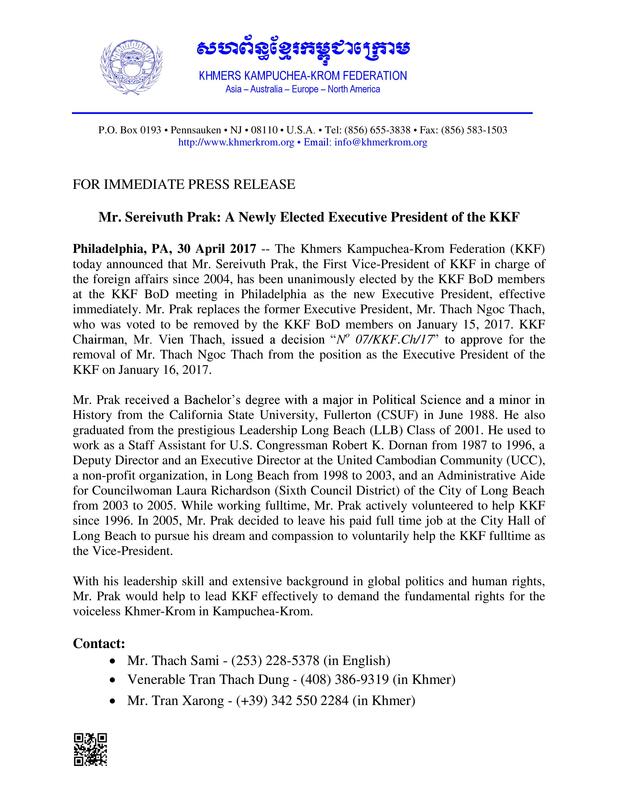 Son Hua represented for the KKF BoD to read a Press Release regarding removing Mr. Thach Ngoc Thach from the office of the executive committee. Details of the Press Release can be found at English, Khmer. Mr. Thach Xe represented for KKF thank members of KKF chapter in Las Vegas, especially the committee members of the Buddhica Khmer temple for hosting this historical event. On November 12, 2013, Vietnam was elected to become a member of the UN Human Rights Council (UN HRC) to uphold its commitments to promote and protect human rights as set forth in United Nations General Assembly Resolution 60/251. Despite being a member for almost a year, Vietnam has not demonstrated a serious commitment to the protection or the promotion of human rights for people around the world. Instead Vietnam continues to violate the fundamental rights of the people living in Vietnam, especially the Indigenous Khmer-Krom Peoples living in the Mekong Delta and its surrounding areas. On June 20, 2014, Vietnam rejected 45 key recommendations out of 227 recommendations made by Member States during its Second Cycle of the Universal Periodic Review (UPR) held on February 5, 2014. The recommendations rejected contained important core fundamental human rights which the people in Vietnam need the most, such as freedom of religion, freedom of opinion and expression and freedom of forming independent associations. In its national report submitting to United Nations Human Rights Council on 8 November 2013, Vietnam claims that “The rights to freedom of expression, press and information are enshrined in the Constitution and laws…” Unfortunately, Vietnam continues to arrest and imprison bloggers. Vietnam also claims that “By March 2013, there are 812 print newspapers and 1,084 publications…” 812 print newspapers and 1,084 publications”. In reality, there are no publicly-run or privately-run media operating in Vietnam. Human Rights documents are not even allowed to be distributed so the people can learn about their rights. For example, Vietnam allowed the UNDRIP to be translated to Vietnamese (http://www.na.gov.vn/nnsvn/upload/images/Attach/Quyen_cua_nguoi_thieu_so%20va%20ban%20dia.pdf), but this document is not allowed to be freely distributed in Vietnam. Thus, there are very few Indigenous Peoples that know about the existence of this document. How does Vietnam guarantee Freedom of Expression if it continues to have the “Penal Code, Article 258” in its constitution? In recognition of those who exercised their basic right to speak, will Vietnam release Venerable Thach Thuol who was sentenced for 6 years in prison in September 27, 2013 for conducting an interview expressing his concern about practicing Theravada Buddhism in fear? 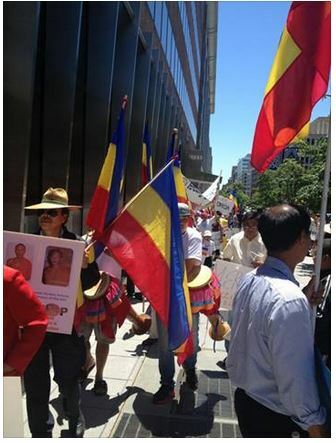 Today, we gather in front of the Vietnamese Embassies in Washington DC (United States), in Ottawa (Canada), in Paris (France), in Canberra (Australia), in Phnom Penh (Cambodia) and elsewhere to protest the recent human rights and religious persecution of our Khmer-Krom Buddhist Monks from Prey Chop Temple and Ta Set Temple as well as several Khmer-Krom Buddhist followers by the Vietnamese government. 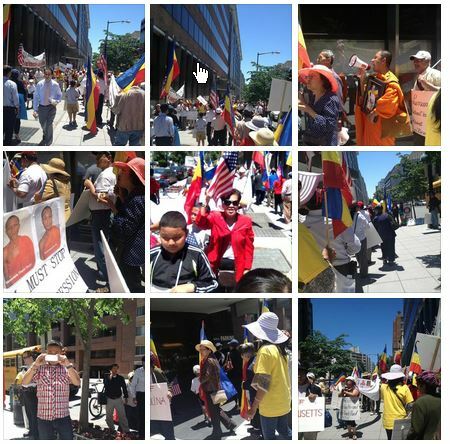 We are here to DEMAND Vietnam stop prosecuting our Khmer-Krom Monks for exercising for their rights to express their opinions. Our Khmer-Krom Buddhist Monks are the heart and soul of the indigenous Khmer-Krom peoples in our homeland. To defrock, torture and imprison our defenseless Khmer-Krom Buddhist Monks is a direct violation of the International Religious Freedom Act, Universal Declaration of Human Rights (UDHR) and the United Nations Declaration on the Rights of Indigenous Peoples (UNDRIP). 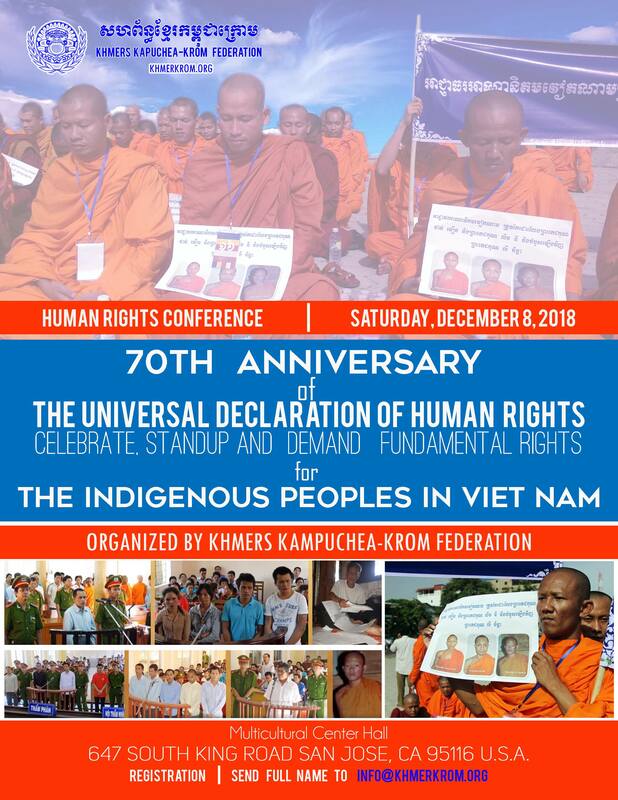 Vietnam often boasts at the international arena that it respects the rights of all people living within its borders but recent events tell a different disturbing tale especially with its treatment of the indigenous Khmer-Krom peoples. On May 16th 2013, Vietnam authorities attempted to defrock three Khmer-Krom monks in Soc Trang for allegedly contacting outside organizations. The first monk, Venerable Ly Chanh Da from Prey Chop Temple was taken by Vietnamese authorities, forced to defrock, tortured until unconscious and called the Khmer-Krom villagers to pick him up at the police station. When the local villages picked him, he was incoherent and they tried to administrate medication. 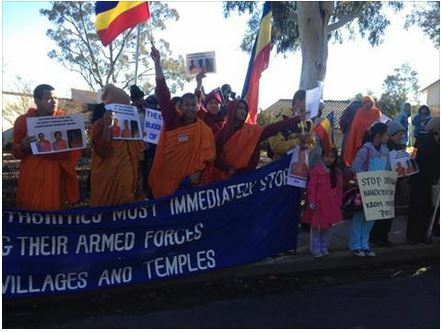 Out of respect to the unjustifiable defrocking, they placed Buddhist robes back on Venerable Ly Chanh Da. Vietnamese authorities came back with a television crew and publicly defrocked Venerable Ly Chanh Da again and forced him to confession on live television. Three women who supported Venerable Ly Chanh Da was also taken into custody and remains in jail. More than a hundred Vietnamese police and local authority representatives then headed to Ta Set temple and tried to defrock Abbot Lieu Ny and Venerable Thach Thuol. With the help of 300 followers who believed in the monks’ innocence, they were unsuccessful. Abbot Lieu Ny, Venerable Thach Thuol, Tra Tha and Thach Phum Rich were captured on May 20th 2013. Their conditions and whereabouts remains unknown. We greatly fear for their safety. On behalf of our defenseless Buddhist monks and people who are currently held in the custody, we ask Vietnam to release Abbot Lieu Ny and Venerable Thach Thuol immediately without condition on harm. • Reaffirm and remind Vietnam that under Article 18 of the Universal Declaration of Human Rights (UDHR), our Buddhist Monks have the right to freedom of thought, conscience and religion. • Ask Vietnam to stop violating Article 5 of the UDHR which states that No one shall be subjected to torture or to cruel, inhuman or degrading treatment or punishment. • Remind Vietnam Article 19 of the UDHR, states that our Khmer-Krom monks have the right to freedom of opinion and expression. This right includes freedom to hold opinions without interference and to seek, receive and impart information and ideas through any media and regardless of frontiers. • Ask Vietnam to stop using our sacred Theravada Buddhism religion and our monks as a means to extend political control over our people. 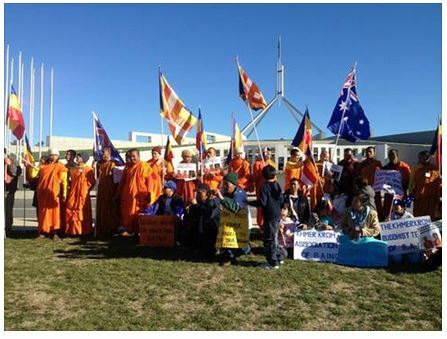 • Remind Vietnam to treat our Khmer-Krom monks with respect and dignity. 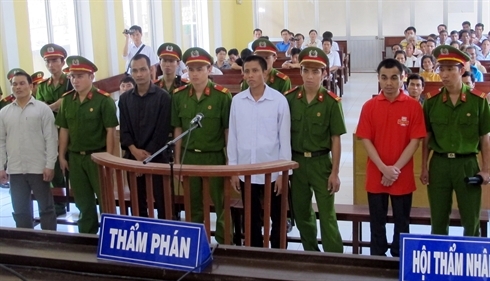 • Ask Vietnam to release Thach Phum Rich and Tra Tha safely to their families. 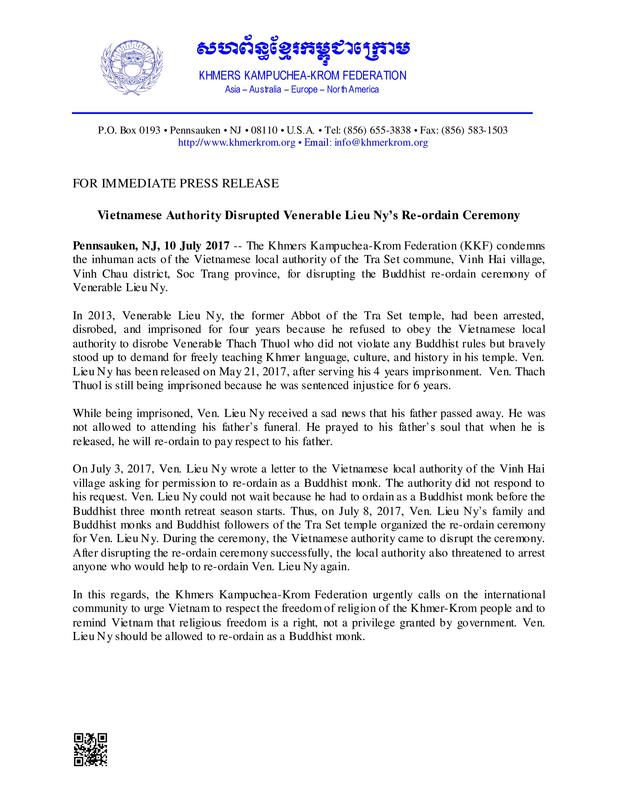 • Ask Vietnam to provide much needed medical aid and to allow Venerable Ly Chanh Da to re-ordain as a Buddhist monk and return safely to his temple. • We urgent appeal to all civic society, Foreign Embassies as well as all citizens that respect and support human rights and religious freedom to help us spread the words about the flight of our defenseless monks and civilians. We are here because we have the right to conduct peaceful demonstration to protest the violent actions of the Vietnamese government has committed against our voiceless people. We know for a fact that if we did this in our homeland of Kampuchea-Krom, we would be prosecuted; our monks would be defrocked and imprisoned. We are here today to remind Vietnam that Human Rights and Religious Freedom are rights, not privilege. Stop the violence against our people. Stop treating us as second class citizens. We only ask for equal, unbiased rights that guaranteed under UDHR and UNDRIP.